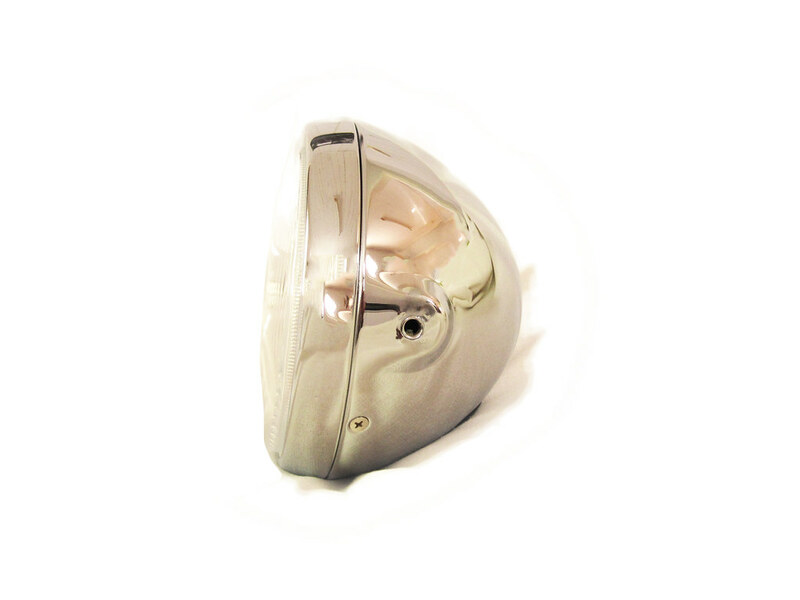 This good looking chromed headlight would suit any custom project. It's side mounted so you can use this with our headlight ears in stock. Comes with a running light and a H4 60/55W Bulb and connection.